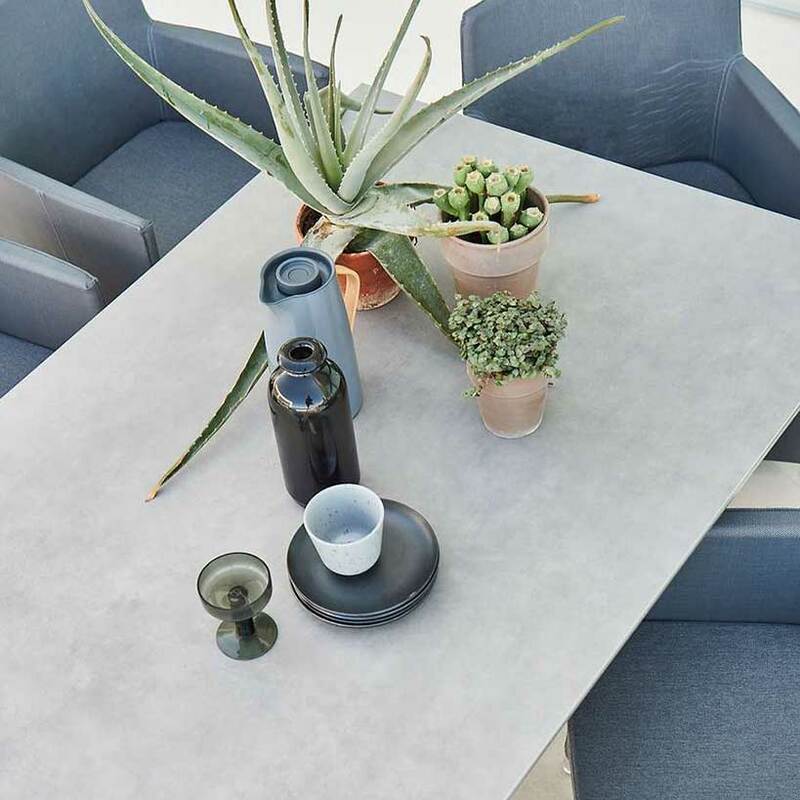 This fibre concrete table top has been handmade in Denmark. Fibre concrete is a material made from cement and quartz sand mixed with fibreglass. This combination produces a very strong yet lightweight table top with a raw look. As the table tops are cast individually, each one is unique. Small air holes and minor differences in colour may appear due to the casting process. The corners and edges are shaped by hand, resulting in a natural variation in the table tops. This does not affect the quality of the table top. The frame is made from stainless steel. It is important to handle your table top with care and avoid setting it down hard or putting strain on the edges after the packaging has been removed. Please note that assembling a table with a fibre concrete top is a 2-person job. Before assembly, it is a good idea to treat the frame and screws with acid-free oil. Place the table frame on an even surface. Attach the legs of the table using the set screws. Do not tighten the screws all the way. We recommend that 2 people turn the table over. Screw in the remaining screws. Check to make sure that the legs are square before tightening the screws completely. 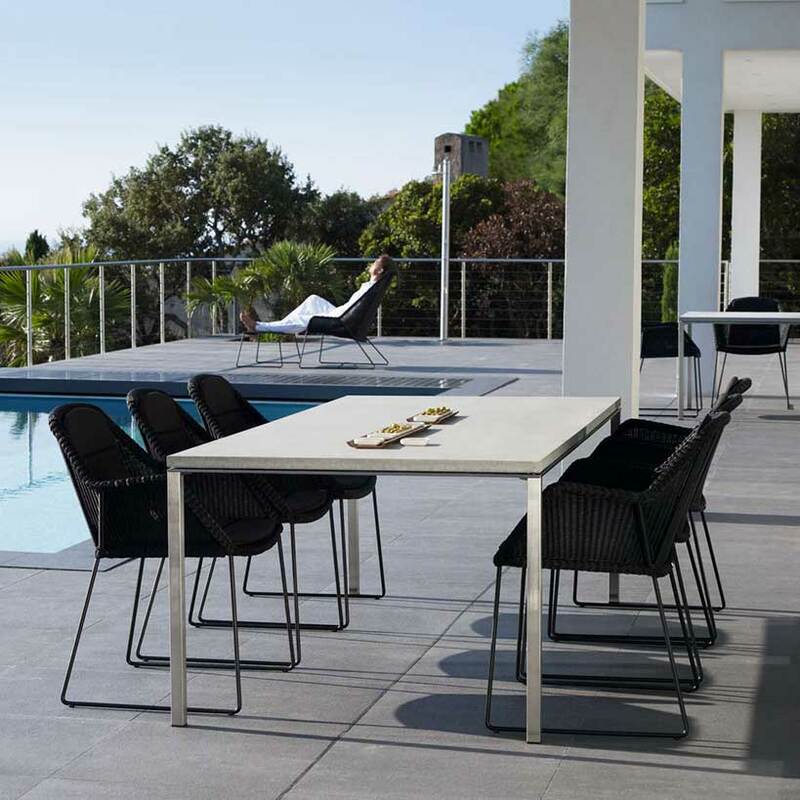 The table is constructed with a loose table top that rests on the frame. The frame has been fitted with a rubber edge to keep the top from shifting. 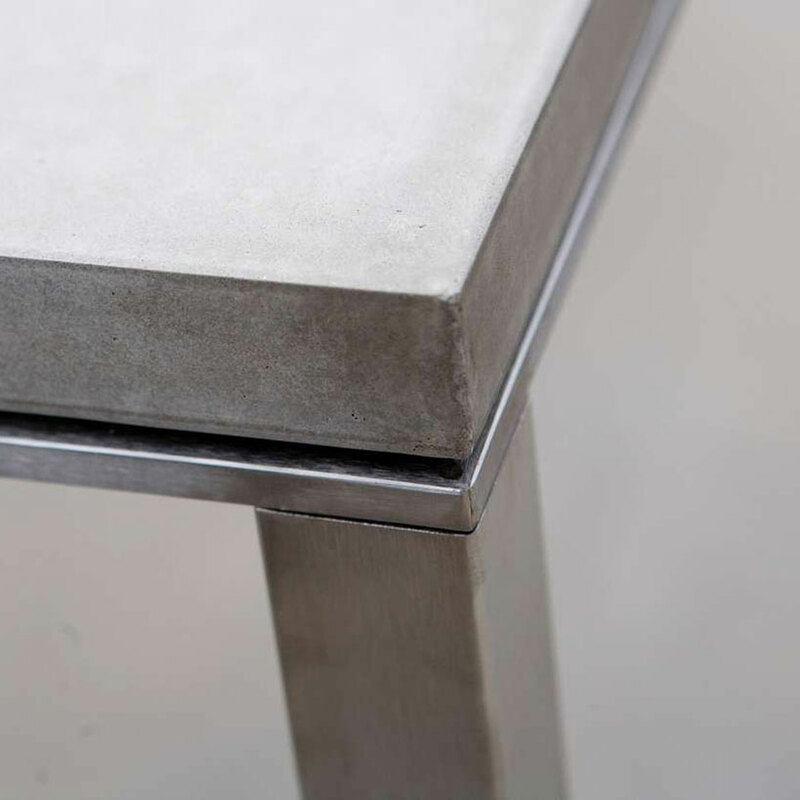 The fibre cement table top has been treated with a special finish from the manufacturer. However, this treatment does not seal the surface. This means that the table top stains easily (for instance for grease or red wine). Any spills should therefore be wiped up immediately with a moist cloth and dischwashing detergent. Work some of the detergent gently into the stain. Allow the liquid to sit for a few minutes for best effect. Protect the table top from acidic products. Do not place hot items directly on the table top. Moving or pushing things with rough edges across the table can cause scratches. The table top and frame can be washed with a moist cloth and, if necessary, some pH-neutral cleaning detergent or washing-up liquid (pH 7+). To deep-clean the table top, it is important to work slowly and gently. The table top’s protective treatment should last for 2-3 years, depending on climate and use. Protecting the table with a cover in autumn and winter months will extend the lifetime of the treatment. If the table top needs to be treated again, start by cleaning it thoroughly with a detergent (pH-neutral or pH 7+). Then apply a product recommended for treating fibre cement, such as from Aquamix. Use the same method to treat deep scratches or chips on the surface as soon as possible after they occur. 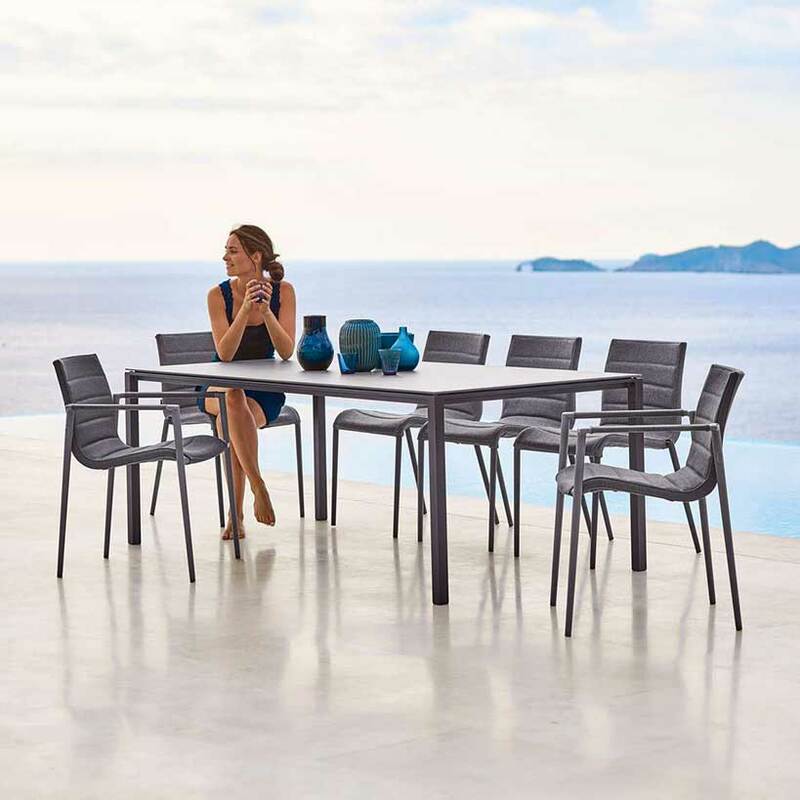 The table can stand outdoors all year round. 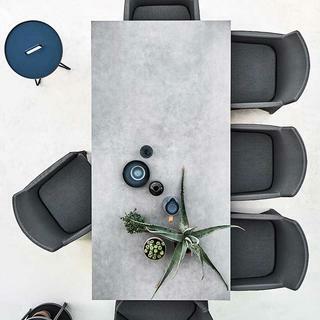 However, you may have to remove algae and other soil and debris from the table. 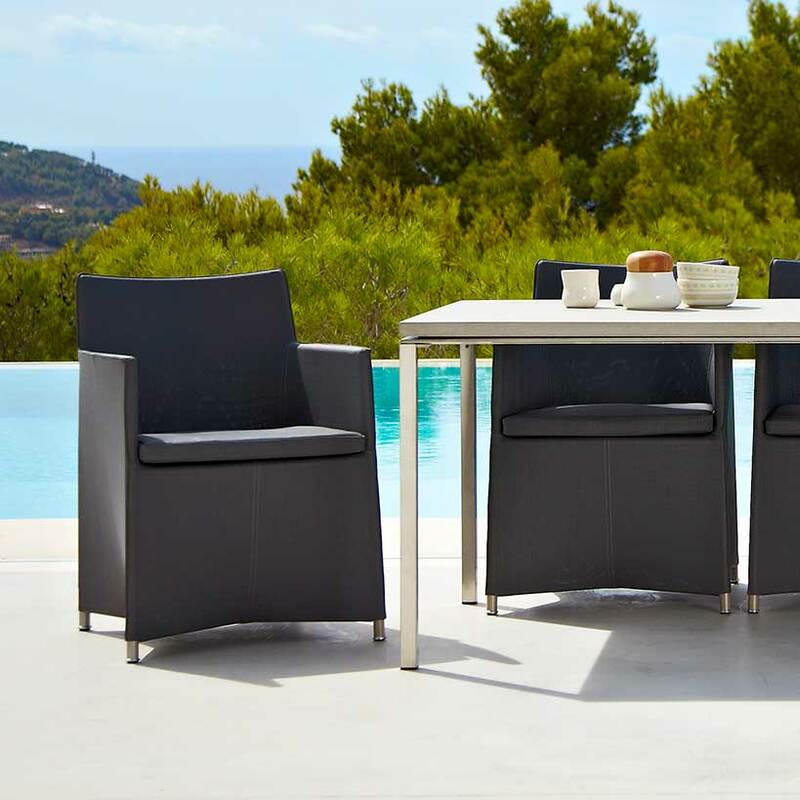 Furthermore, storing outdoors increases the risk of marks appearing from objects that have been left on the table. We therefore recommend storing the table under a furniture cover or on a covered terrace, patio or carport during winter months. Please note, however, that condensation can form under furniture covers, which can cause mould and mildew. Therefore, make sure to lift the cover away from the furniture frame to ensure proper air circulation and minimise condensation.